Well, it’s the beginning of a new academic year for us and we recently decided to make improvements on our designated classroom space, which is a transformed carport, now called the Great Room. The Great Room gives us enough space to house all of our classroom activity. The only exception is on really hot Florida days and those rare moments when the weather has dropped significantly. My husband, Mr.C. used cedar wood to enclose it with plenty of open screen windows and doors, which allows for plenty of air flow and natural light, perfect for these active boys. In the past I have not posted many pictures of our classroom while we worked out the layout, but I’ll post more as we proceed now that I have it looking more the way I desire. What I do to make it work. 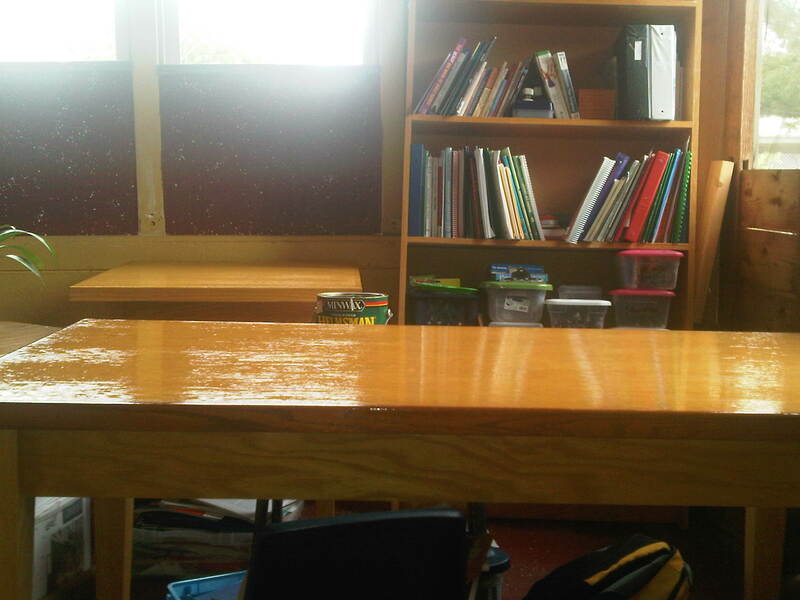 Over the winter break we cleared the desks and freshened up a bit, putting a fresh coat of varnish on the wood desks and reading table as well as on the exterior. Everyone was involved. Mr.C. also closed in some of the window space to eliminate the occasional overspray of rain drops that blew in from those gusterly winds. He even had me pick up the circular saw to cut a straight edge on the plywood that we’ll put as the underlayment behind the bookshelf to be constructed behind my desk. 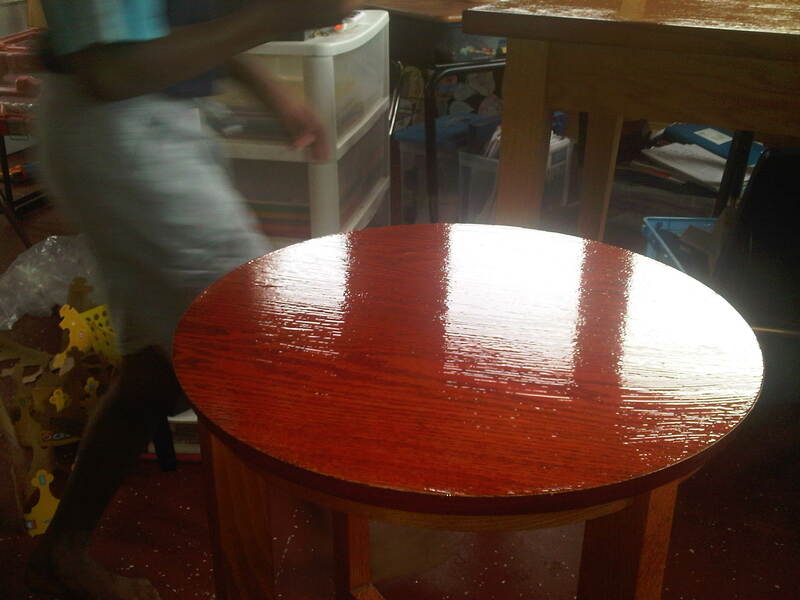 My sons got in on the action as well, helping their dad apply stain to the doors and on the tables you see below. Having the right space for home school makes class time more respectable and structured for these boys and me. 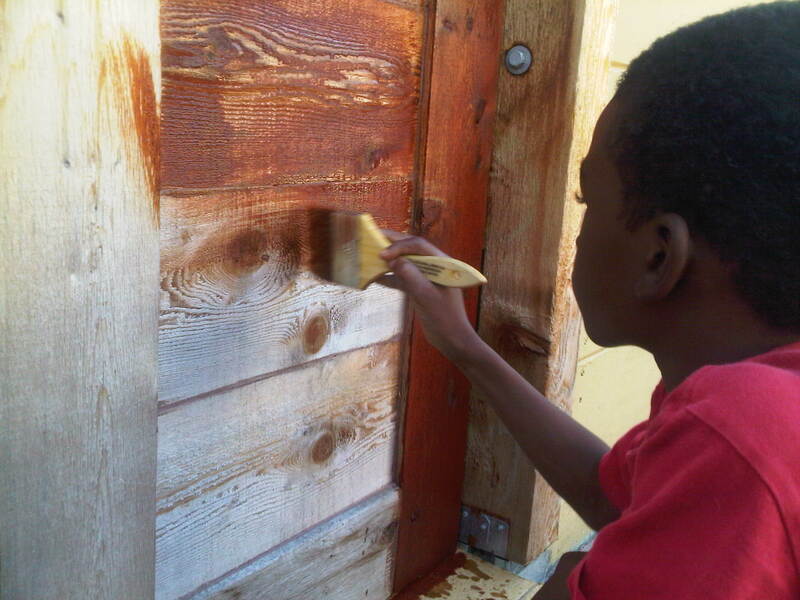 CJ doing practical art work using a brush and stain. We have great expectations for the new 2012 school year as my 9yr old begins fourth grade and the twins begin first grade. Coming up soon, we’ll post samples of what we do in the Great Room maybe you’ll can get a feel for what our day is like. 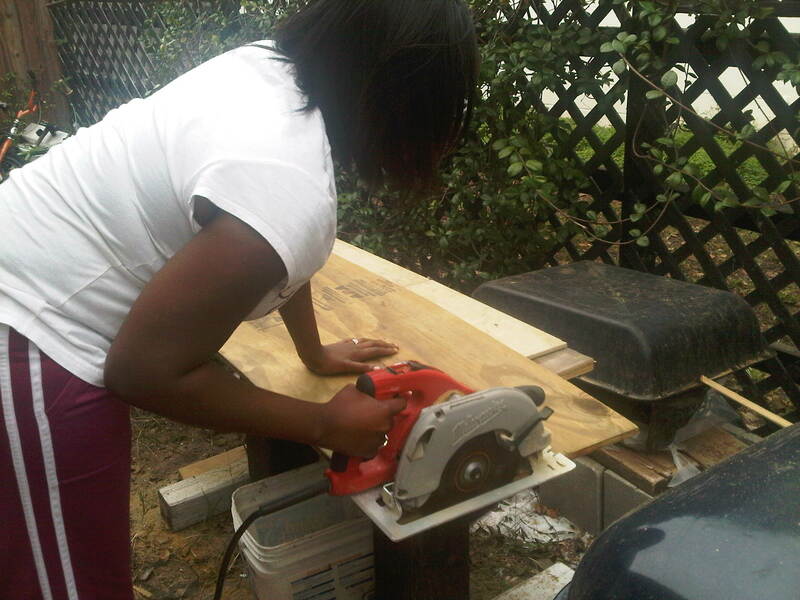 Posted on January 28, in HomeSchool, Learning, Life and tagged practical art, wood desks. Bookmark the permalink. Leave a comment. And on His law he meditates day and night. That yields its fruit in its season. Enter your email address to Grow with Us by receiving new posts by email.